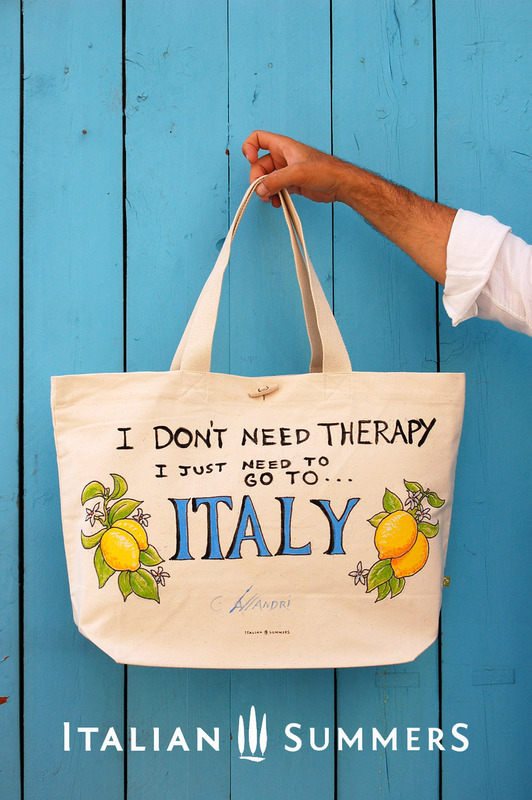 This version of our I don’t need therapy bag features happy Peperoncinos, hot Italian chili peppers. The sunny lemons that decorated our other version have turned into a spicy staple of Italian cooking: peperoncini have always symbolized good flavour, good health and good luck to Italians! Lucky you!!! 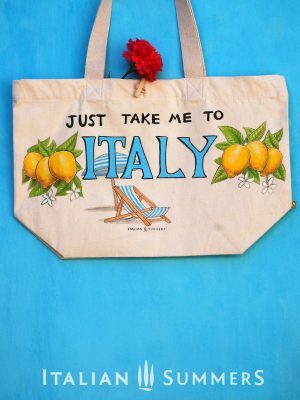 We have this bag also with Sorrento lemons! Attention! For the handpainted product! Hand-wash cold with mild soap, do not bleach, do not scrub the painted areas, drip dry and iron inside-out on medium-low temp. 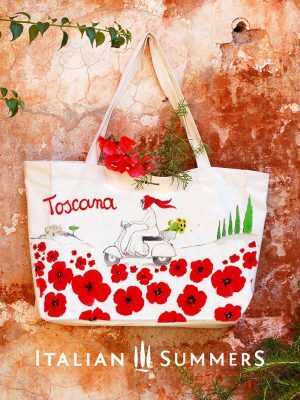 Each shopper/beach bag is a unique handpainted item, no two bags are the same. There will be natural small differences as the Artist replicates the theme. 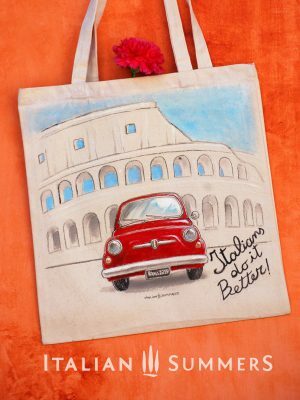 Since we create out bags ourselves, we decided to give you an option to personalize them. Just choose from the variants listed on some of our items, or contact us for a different request. We can come up with something special for you, we’ll do it for free, if it is not too complicated. (for example, some long location names may not fit in easily in the designs). I DONT NEED THERAPY, I JUST NEED TO GO TO ITALY ! Just what the doctor ordered! 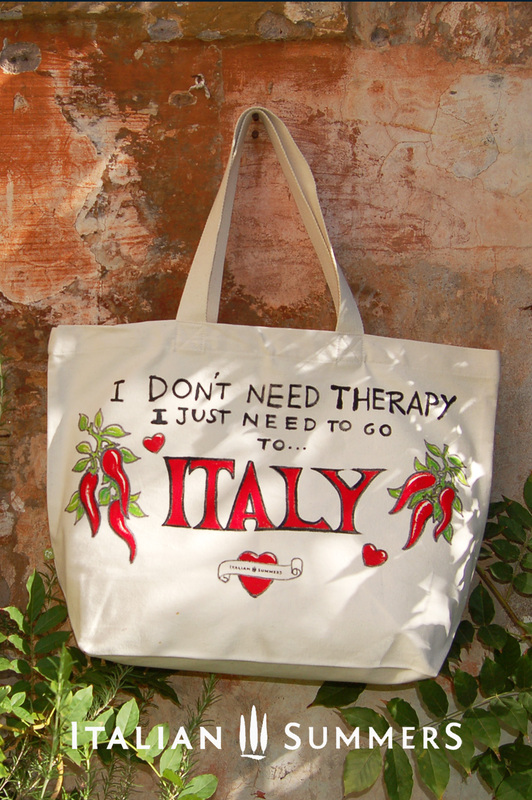 This version of our I don’t need therapy bag features happy Peperoncinos, hot Italian chili peppers. 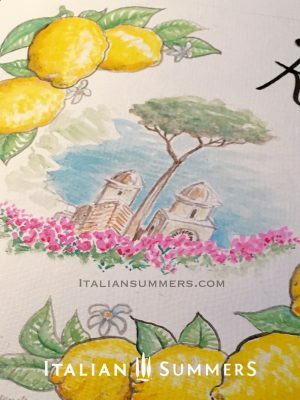 The sunny lemons that decorated our other version have turned into a spicy staple of Italian cooking: peperoncini have always symbolized good flavour, good health and good luck to Italians!